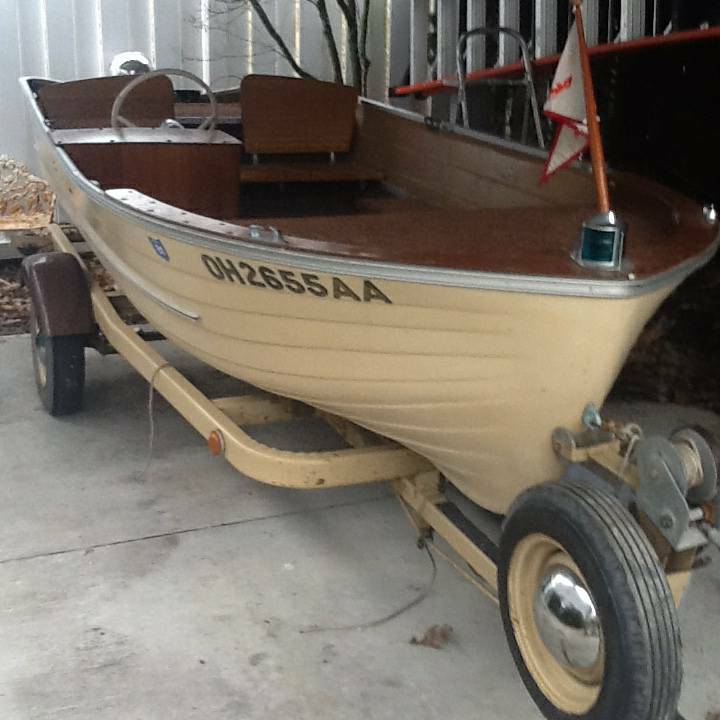 Attached is a picture of a 1959 MFG Corry that I've come across. The mahogany deck and side console are not shown in any of the sales brochures. Has anyone ever seen one like this? I've only seen ones with forward steering, and usually a windshield. 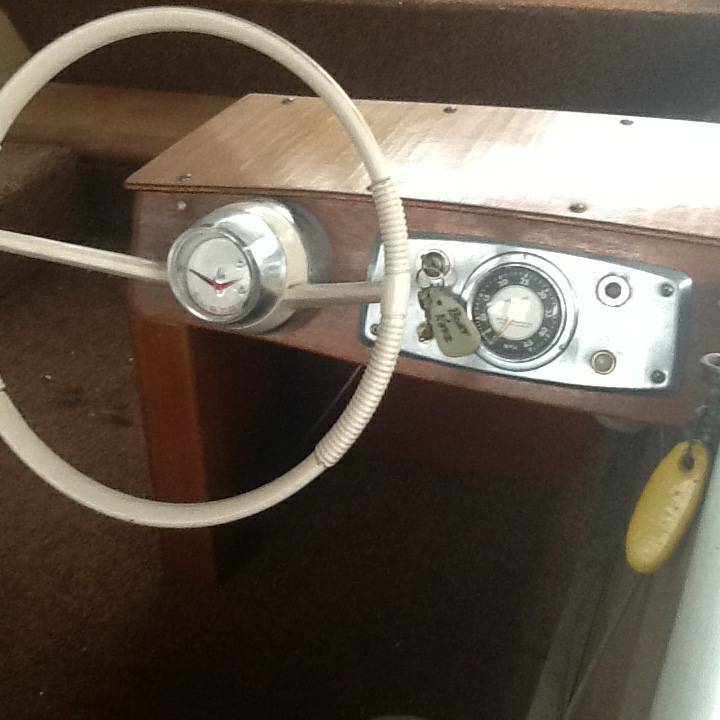 MFG only made Corry models with wood decks from 1958-1960. 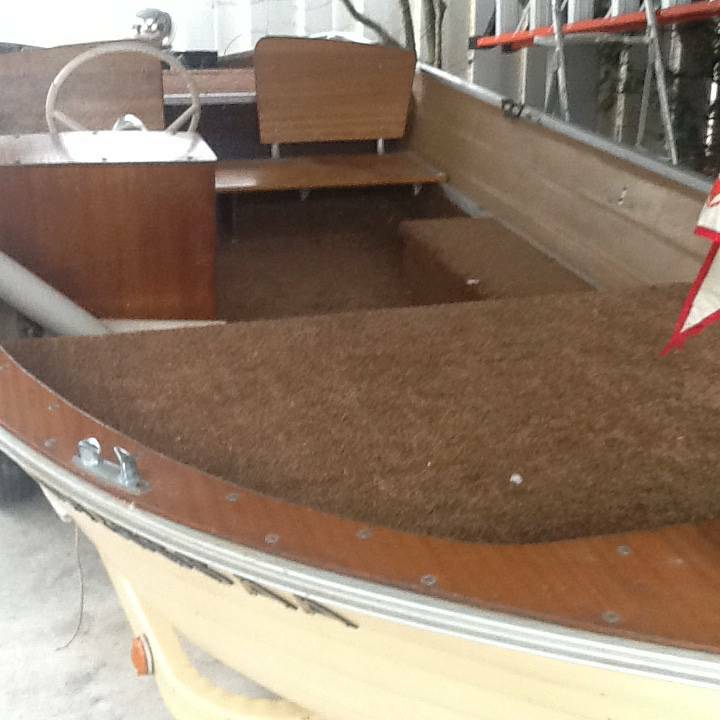 In 1960, they introduced a model with an all-fiberglass deck, the Corry Carefree, that lasted until 1963. Well, You know more about MFG than I will ever know. The seat brackets look MFG, the steering and dash plate look period. Tell tail.... usually fastener hardware ? Carpet ? floor with carpet ? not so much... I'm thinking a lot of mods were done? If someone put that much effort into buying a Corry at the factory like this ? It was probably less expensive to buy a Corry Suburban ? Just my opinion ? What wood is used for the framing for the fore deck ? Yeah, I'm thinking the same things you are. I'm wondering if a previous owner took a Corry Suburban and at some point modified it. After all, it's just wood and someone could build just about anything to change it. At least, that's my guess. I plan to go look at it this month - it's about three hours from me. I'll post what I find.